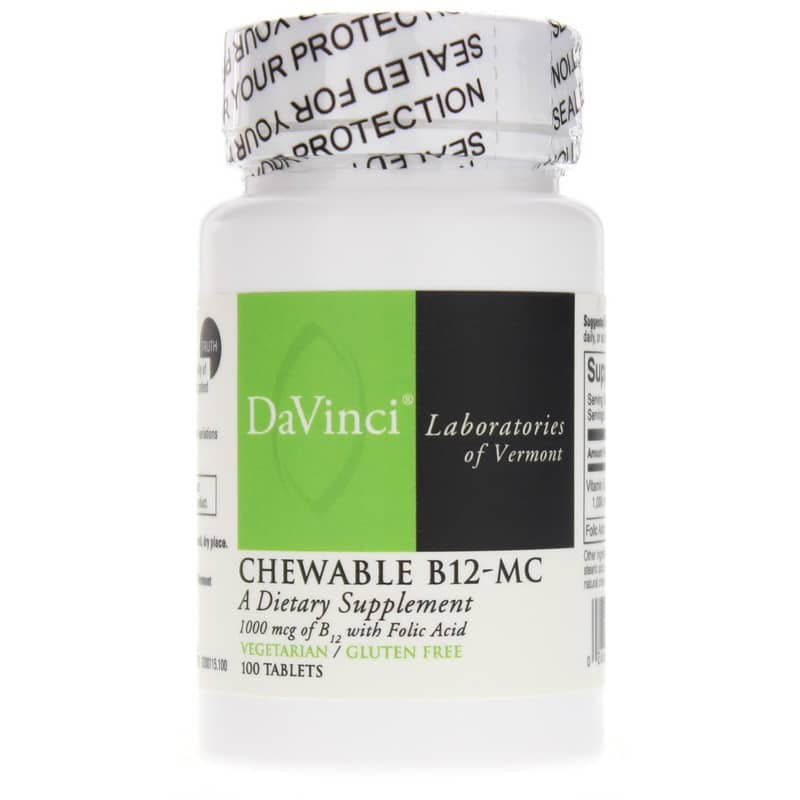 Chewable B12-MC by DaVinci Laboratories of Vermont is a natural vitamin b12 and folic acid supplement in a chewable vegetarian tablet. DaVincis Chewable B12-MC provides 1,000mcg of Vitamin B12 and 100mcg of Folic Acid in each tablet for optimal absorption. 80% of Vitamin B12 in plasma is in the methylcobalamin form. 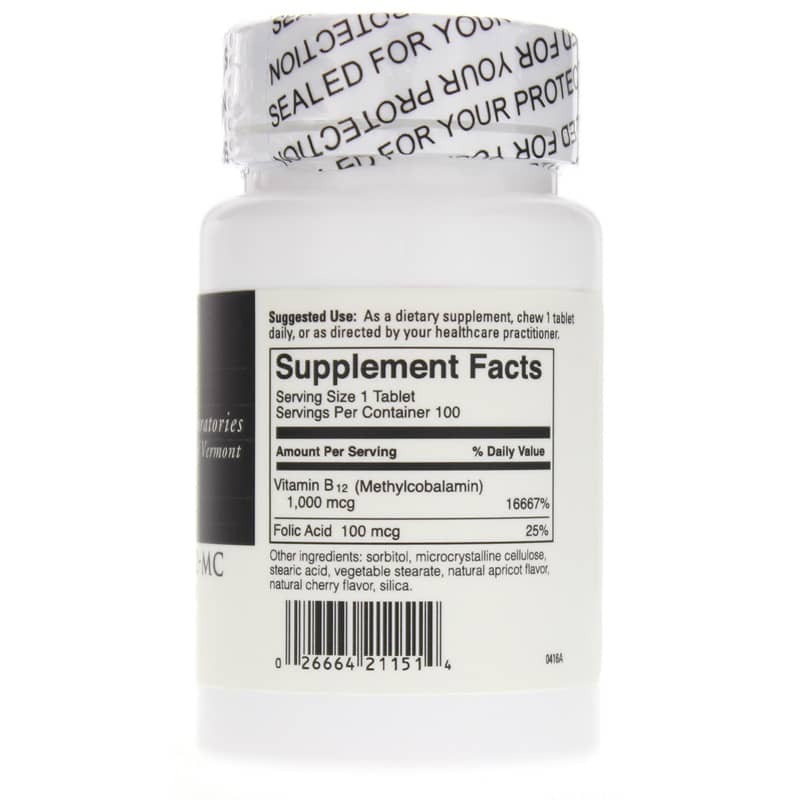 Methylcobalamin is the active form of B12. 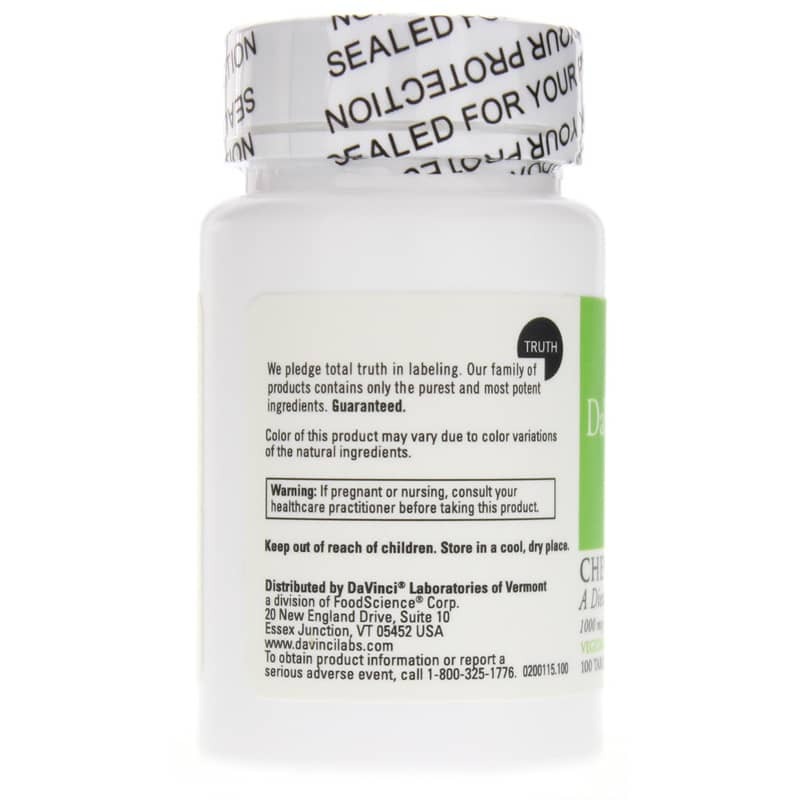 Chewable B-12 MC is absorbed through the mouth thus by-passing the need for the intrinsic factor in the stomach. This is especially important for the elderly as the intrinsic factor declines with age. Other Ingredients: sorbitol, microcrystalline cellulose, stearic acid, vegetable stearate, natural apricot flavor, natural cherry flavor, silica. Contains NO: gluten. Vegetarian product. Adults: As a dietary supplement, chew 1 tablet daily or as recommended by a healthcare professional. The order arrived quickly and the product is great.